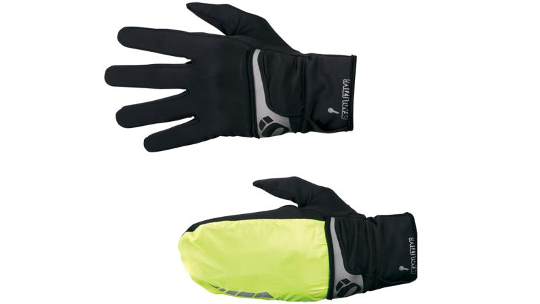 The Shine Wind Mitt is most versatile glove in Pearl Izumi's glove collection thanks to its stowable mitt for water and wind protection only when needed making this style particularly popular with runners. 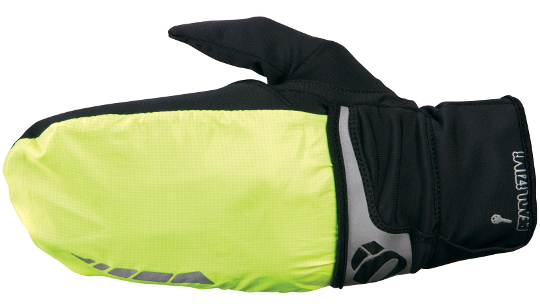 The PRO Thermal Lite fabric provides optimal warmth in mild conditions and stowable mitt keeps fingers out of the wind. The silicone screened palm provides a performance grip reflective elements are perfecrt for low-light visibility.